All his life, Beck’s been adapting. The son of a multi-instrumentalist father and a mod mother, he is less a man than he is aesthetic overlap made corporeal, immersed in liminality from the time he was a toddler. Arguably the most formative of these childhood experiences took place at the age of five, when Beck’s late grandfather, avant-garde artist Al Hansen, came over for a visit chronicled in a 1996 Rolling Stone interview. The goofy troubadour recalls watching Gramps stride into the house with bags filled to the brim with junk: a stockpile of flotsam to which he added some of the youngster’s broken toys, including a cheap rocking horse purchased from his grandson for the low price for five dollars. One day, the future Grammy-winner came home from school and spotted Hansen’s final masterpiece over by the side of the house. There sat his rocking horse: no longer a toy but a decapitated, silver spray-painted hellspawn, pocked with glued-on cigarette butts. Talk about lost innocence. As expected for any child faced with the nightmarish evolution of a familiar plaything, young Beck was disturbed by Hansen’s cig-coated chimera — but it became his muse nonetheless. “It was so raw,” he told Rolling Stone, “something so plain and forgotten suddenly transformed into this strange entity.” Shapeshifting, he continued, was the key to transcendence for both artwork and artist. “We can appoint ourselves to be alchemists, turning s**t into gold,” he declared. On June 18, 1996, a little less than two months after revealing his alchemical aspirations to Rolling Stone, Beck had found his Philosopher’s Stone — his second official studio LP, Odelay. Adored by critics and mainstream audiences alike, the groundbreaking LP proved that there was more to this meek, hip-hop-loving folkie than his slack-rap oddity “Loser”; it earned Beck two Grammys, and went on to sell over two million copies, sustained by the long-term success of its three titanic singles (“Where It’s At,” “Devil’s Haircut,” and “The New Pollution”). Twenty years after its release, Odelay’s getting a commemorative re-release with vinyl reissues from Bong Load — who pressed the record upon its initial release — and soon, Geffen. The album’s been written about to death, and for good reason: Years before the rise of post-Internet genre-hopping, Beck wielded Odelay as a sledgehammer to musical segregation, a blow to the walls separating rock from hip-hop, funk from punk, Latin rock from heavy metal. In doing so, he helped bring multiculturalism into the cultural discourse of the time. How eerie, then, that the 20th-anniversary reissue of this global-musical bricolage formally resurfaces now, amid a swell of American nativism, amid the rise of a man whose policy proposals include a wall to keep out Mexican immigrants, a ban on Muslims entering the country, and an end to “political correctness” (in part because it “takes too long”). Many have framed these planks of the so-called “America First” approach as a pushback against the country’s steadily growing embrace of multiculturalism over the past several decades: the amorphous, existential America that inspired Odelay in the first place. Odelay is a melting pot of countries, genres, and time periods, right down to the title (a phonetic spelling of Órale, contemporary Spanish slang for “Listen up”) and cover art (an old photograph depicting a rare breed of Hungarian dog called a Komondor). More importantly, Beck and his creative circle immerse themselves in the cultures he appropriates, developing them as key components of the album’s broader sound, rather than superficial sonic flourishes. According to Odelay producers Mike Simpson and John King — better known as the Dust Brothers, the crate-digging hip-hop production duo who plundered dusty pop gems for the Beastie Boys’ similarly transgressive Paul’s Boutique — Beck had zero discretion where outside sounds were concerned: “He could just pick up a sitar, or a french horn, and make something cool out of it.” In other words, Beck wasn’t a genre tourist so much as he was a student studying abroad, supplementing his pre-existing knowledge of global sounds — particularly the Latin music that surrounded him for much of his youth, after his family moved into a largely Salvadoran Los Angeles neighborhood — with newfound whirligigs. “Friction” isn’t the right word — it’s bigger than that, and more than relevant in this bats**t election year. Beck’s dynamic, contrast-driven approach to collage is ultimately cumulative, rather than conflicting; by successfully soldering twitchy guitars to Spanish rapping (“Hotwax”), for example, or incubating the traditional folk song “Stagger Lee” in the acidic crucible of industrial rock (“Devil’s Haircut”), the musician is preaching an axiom that extends farther than alternative rock, or music, or even art itself. 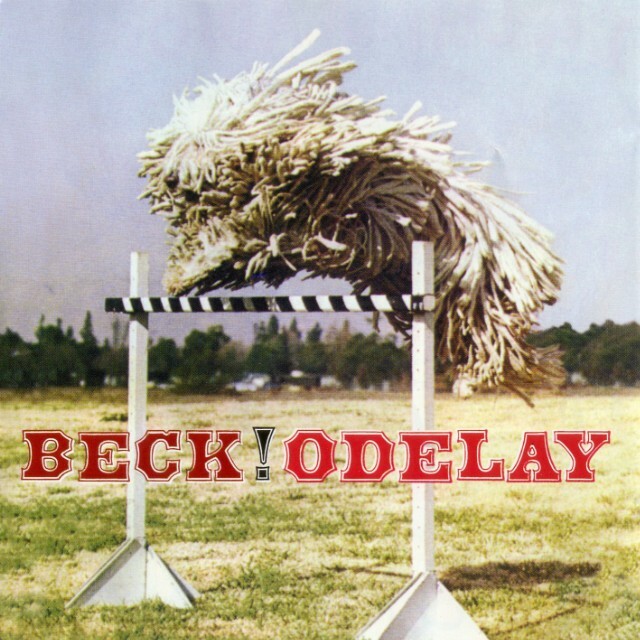 Cultural diffusion, Odelay argues, is disorienting and uncanny; just like Beck and his encounter with his old rocking horse, the resulting amalgam often fuels shock. In time, however, we acclimate to the ambiguity — not just because the dissolution of borders is inevitable and unstoppable in the modern age, but because the world’s better for it, and far more eclectic and entertaining.